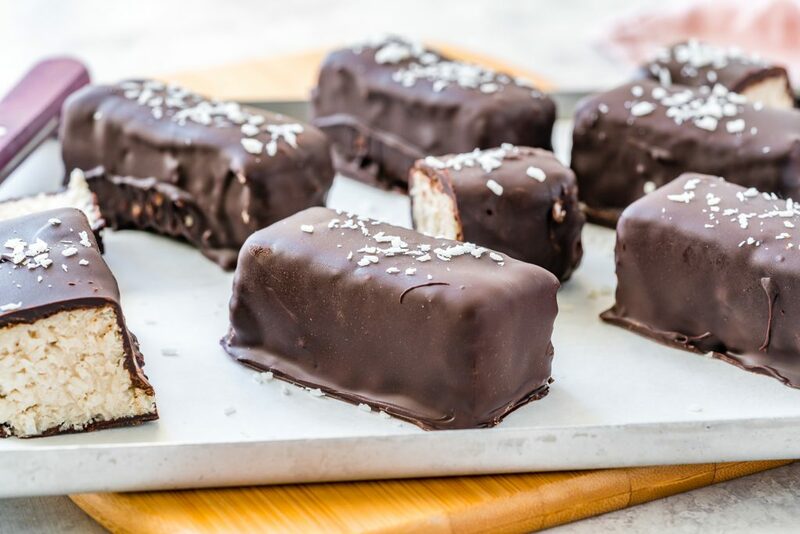 Make these Copycat Bounty Bars for a Heavenly Clean Eating Treat! Line a 8×8 baking pan with parchment paper. 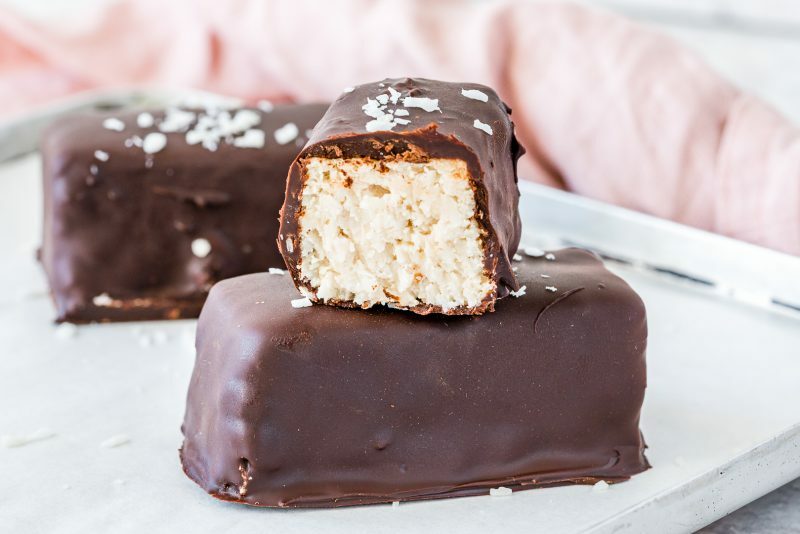 In a food processor add the unsweetened shredded coconut, protein powder, coconut milk, honey, and melted coconut oil. Process for about 2 minutes, until smooth. Press the mixture evenly into your lined pan. Transfer to the freezer for 2 hours to set. 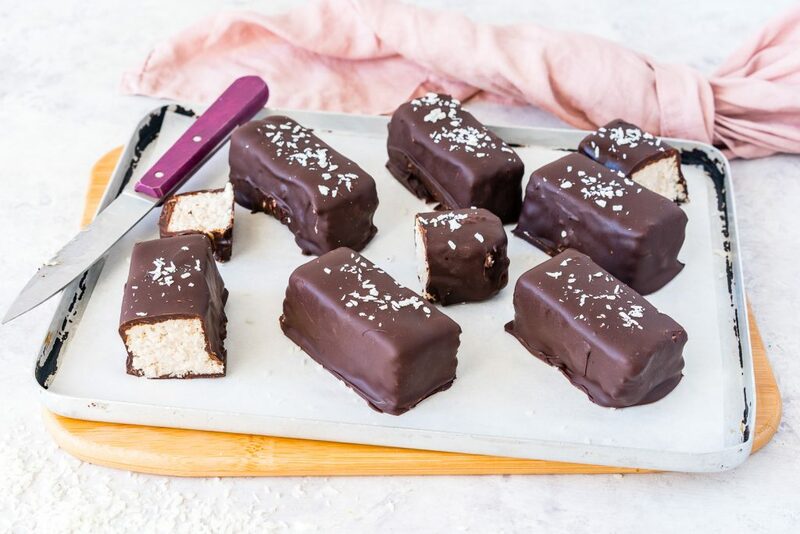 Remove the coconut mixture from freezer and cut into small 2.5 inch rectangles using a sharp, long knife. Line a large cookie sheet with parchment. 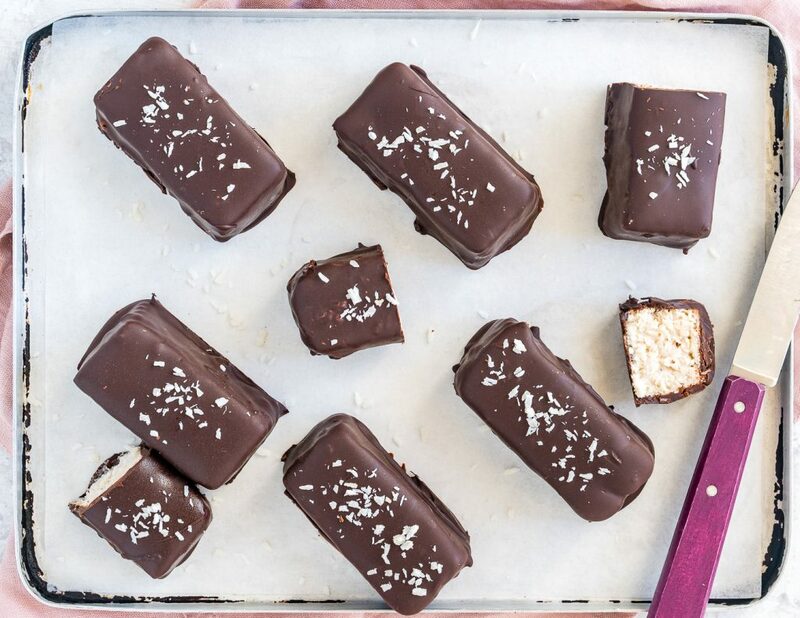 Using a fork placed underneath, dip every piece into the melted dark chocolate, covering each completely. Then place your chocolate-covered pieces on the lined cookie sheet. Freeze for an additional 15 minutes. 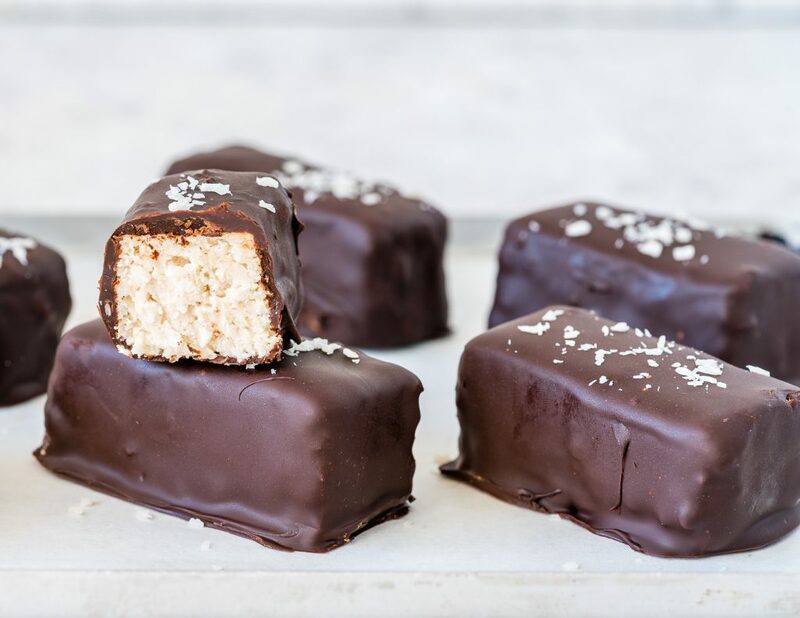 Once frozen these can be wrapped in plastic, or places in an airtight container and kept stored in the freezer for up to a month. Line a 8x8 baking pan with parchment paper.